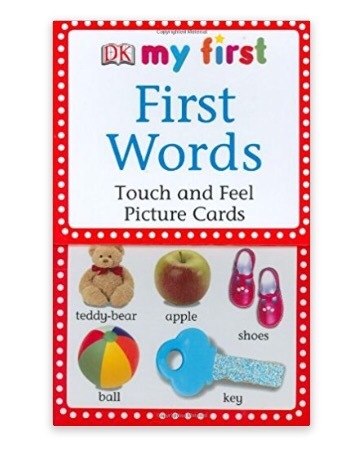 These flash cards for learning ‘First Words’ are the best ones I have come across. – They are of very high quality, they don’t bend and crease and therefore can withstand being played with by a toddler! – They are sensory- they’ve got ‘touch and feel’ parts to the card which keeps children interested and intrigued by the task. -There are prompts/questions on the reverse of each card to extend a child’s learning. Allowing for more open ended questions and stopping adults just reverting to he standard ‘what’s this a picture of?’ question. 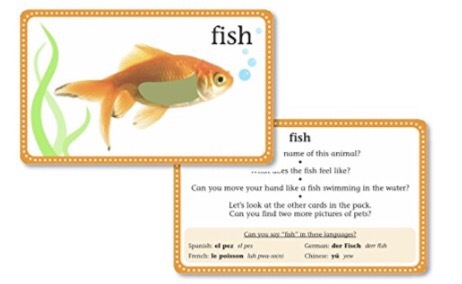 – The words chosen for the flash cards are useful words. Often companies make the mistake of choosing words that in reality aren’t if high use.